Rangappa S. Keri is a Assistant Professor Jain University, Bangalore, India. 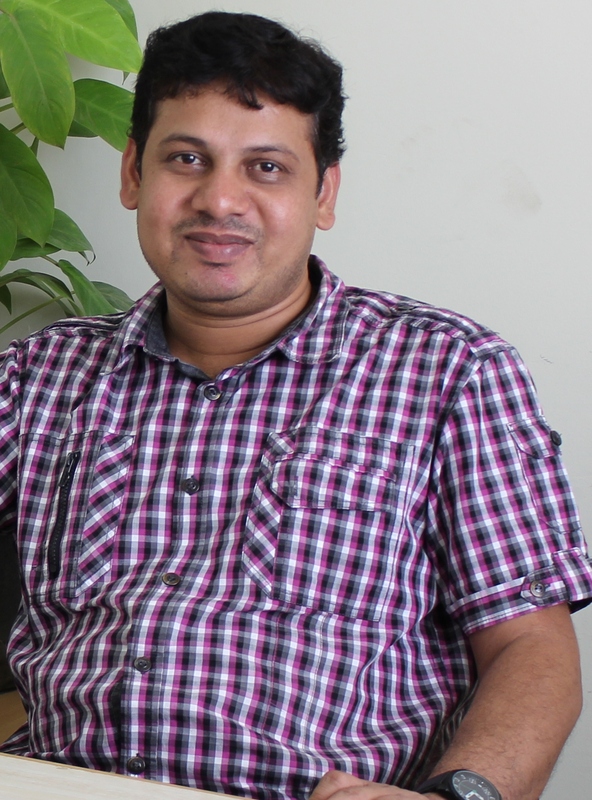 He completed his Ph.D. in Organic Chemistry, Dharwad (2005–2009). He was awarded as Portuguese Foundation of Science & technology (FCT) Fellowship (2011-14), Brain Korea 21 (BK 21) Post doctoral fellowship (2010-11). ïƒ˜ Development of novel multi-targeted drugs against anti-tubercular and anti-neurodegenerative drugs by synthetic approaches and natural plant extraction. ïƒ˜ Development of metal, organo and metaloorgano-catalyzed enantioselective methods for the synthesis of heterocyclic scaffolds. ïƒ˜ Efficient synthesis of heterocycles using heterogeneous and nano catalyst. ïƒ˜ Application of green chemistry in organic synthesis. 1. Drug development of coumarin derivatives as potent antituberculosis agents. R.S.Keri, B.S.Sasihar,B.M.Nagaraju, M.A. Santos,(2015) Eur. J.Med. Chem 257-269. 2. New tacrine hybrids with natural based cysteine derivatives as multi-targeted drugs for potential treatment of Alzheimer’s disease. R.S. Keri, C. Quintanova, A. Esteves, S. M. Cardoso, M.A. Santos, (2015) Chem. Biol. Drug Design (In press) DOI: 10.1111/cb dd.12626. 3. Design, synthesis and bioevaluation of tacrine hybrids with cinnamate and cinnamylideneacetate derivatives as potential anti-Alzheimer drug C.Quintanova, R.S. Keri, S. M. Marques, A. Esteves, S. M.Cardoso, M.A. Santos, MedChemComm(In press)2015. 7. Labelling of brassinosteroids by isotopes of hydrogen and carbon M. R Patil, R.S.Keri, RSC Adv.2015 39726–397455. 10. A Comprehensive review in current developments of benzothiazole - based molecules in medicinal chemistry R. S. Keri,M. R Patil,S. A. Patil,S.Budagumpi Eur. J.Med. Chem. 207- 251(2015).